Christine Peeler Fontana is the Senior Manager of Global Giving at Edwards Lifesciences. In this role, Christine develops and manages philanthropic efforts with a focus on patient and community impact and employee engagement. 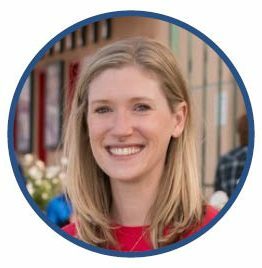 Christine also manages the operations of Edwards Lifesciences Foundation (~$70M in assets, $9M in annual global giving) including the Foundation’s annual grant cycle, impact reporting, strategic planning and general operational systems. Christine partners with organizations across the world to maximize impact via the Foundation’s signature philanthropy initiative, Every Heartbeat Matters, which seeks to impact the global burden of heart valve disease. Through providing strategic counsel to the Foundation’s Executive Director and Board of Directors, spearheading a robust impact reporting process and facilitating a community of collaboration amongst the global partners, the initiative is on its way to meeting its goal of impacting 1M underserved people by 2020. Christine also facilitates the company’s Strengthen Our Community program, which aspires for 100% of all employees to do at least one charitable activity per a year. Through volunteer leadership counsels, partnerships with leading nonprofits and creative and varied opportunities for employees to give back, over 70% of global employees are engaged in their local communities. Prior to joining Edwards Lifesciences, Christine was the Manager of National Partnerships at Capital One. Her portfolio included national partnerships and initiatives on financial capability and financial well-being, workforce development and skill credentialing, college access and success, and K-12 education. Prior to joining Capital One, Christine was a corporate social responsibility and philanthropy communications consultant for corporate and nonprofit clients at RF|Binder Partners. Christine has managed initiatives and partnerships recognized as national models by the U.S. Chamber of Commerce’s Center for Corporate Citizenship, The President’s Council on Service and Civic Participation, PR News Corporate Social Responsibility Awards and the Holmes Report Sabre Awards. Christine received a B.A. in Social Psychology from Northwestern University and her M.P.A. from Columbia University’s School of International & Public Affairs. She lives in Costa Mesa, California, with her husband, Michael, and their sons, Miles and Charlie.